Porquis Junction Aerodrome, as it was originally named, first opened in 1929 and became part of the Trans-Canada Airway System operated by the Department of Transport. By the late 1930s, the airway linked Montreal and Vancouver. Trans Canada Airlines (TCA) Lockheed 10 Electra aircraft were used to serve Porquis Junction. At the end of the Second World War services were upgraded to serve larger Douglas DC-3 aircraft. In the late 1940s, Porquis Junction became a regular stop on the Toronto Kapuskasing Route for TCA. The main Runway 14 -32 was turf and measured just over 3,900 feet in length, supporting daytime and night time operations. Two other intersecting turf runways measured 2930 and 2555 feet in length. In 1955 the Department of Transport built a new airport to serve the growing City of Timmins with all-weather runways and day and night operations. Porquis Junction Aerodrome became a general aviation facility handling mainly private and recreational aviation operations. In the late 1960s, the Corporation of the Town of Iroquois Falls assumed control of the airport from the Department of Transport and became known as Iroquois Falls Municipal Airport. In 1972 a local service club, the Rotary, purchased a glider and built a winch for the Arctic Watershed Gliding Unit to provide gliding for the air cadet squadrons of northern Ontario. The gliding program in Canada is run jointly by the Department of National Defence and the Air Cadet League of Canada. The Arctic Watershed Gliding Unit, based at the Iroquois Falls Airport, currently serves the cadets from Englehart, Kirkland Lake, Timmins, Iroquois Falls and Kapuskasing. 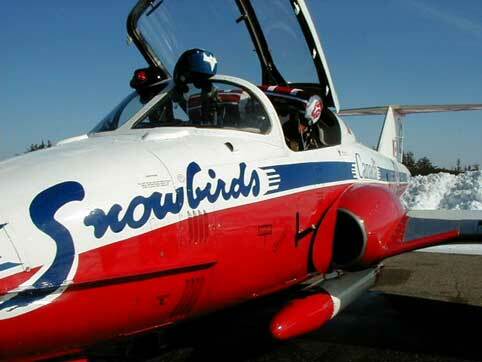 In former years it also flew the air cadets of the Rouyn-Noranda, Chapleau and Moosonee squadrons. The Nighthawk Flying Club was established in 1975 as a flight training school. The club ran the airport from 1975 to 2003. With increased traffic Iroquois Falls Municipal Airport was able to secure funding to make a number of upgrades. 3,000 feet of Runway 14-32 was paved in the late 1970s and airport lighting was installed. In 1984 the Province of Ontario provided a grant for a public terminal building, Runway 14-32 was expanded to 3999 feet and Nighthawk moved from temporary accommodations to the new facilities.